Detailed guide for the Cooperation Guide for the Priestess Arcana. For the priestess arcana, Makoto takes a more active stance. She can be quite a perfectionist. For Persona 5, she is in charge of the Priestess Confidant. 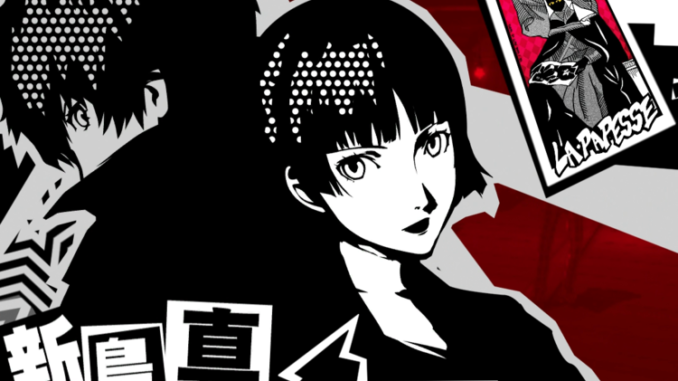 Makoto Niijima is a member of the Phantom Thieves of Hearts. As the wielder of the persona Johanna, she works alongside them with her healing and Frei skills. Unlike most portrayed by the Priestess Arcana, she is brutal in both combat and her driving style. Despite her brutal way of fighting, Makoto does have a compassionate side. This comes out when she is acting as Student Council President. However, she also hopes to no longer burden her sister, Sae Niijima. You can unlock Makoto by heading towards the Student Council Office after school. She can alternatively be found at Shujin’s main gate. 1 Shadow Differential When you use analyze Shadows, you can see the items that it may drop. 2 Baton Pass Makoto can now use “Baton Pass.” Whenever “One More” is triggered, players may pass their turn to Makoto, increasing her attack strength. 3 Crammer Talk If Shadow negotiations fall through, Makoto can help you try again. 4 Final Blow If the protagonist doesn’t kill the enemy, Makoto can finish the enemy off for you. 6 Paper Fan Recovery Cures conditions off allies occasionally. 7 Shadow Factorization When you put your cursor over the Shadow, you can see if it can either null, reflect, or absorb your attack’s attribute. 8 Moxie If an attack will deplete all of her HP, there’s a chance Makoto will endure the attack. 9 Covering If an attack would bring the protagonist’s health to 0, there is a chance that Makoto will intercept the attack. 10 Super Awakening After awakening her persona, Johanna evolves into Anat. Approach Makoto in front of the Student Council Office once you clear Kaneshiro’s palace. Head to Shinjuku to look around for info on Tsukasa. Find men with speech bubbles to interact with. Ask them if they know Tsukasa. Afterwards, you’ll talk to the lady. Note that this cooperation will cost you a day and night activity. 10 Choices here are irrelevant since it is already at the MAX rank. 7th rank, 7th option: Refuse her, please. Anat is Makoto’s Ultimate, Cybele is the highest ranking priestess persona unlocked from getting Makoto’s Confidant rank to ten. Probably just a typo, since this information is correct everywhere else in the guide.